At Fashion Nova, they make it easy and affordable for you to be your own fashion icon. The brand takes it to a whole new level by producing inspired outfits just hours after it was seen on celebrities. Get your hands on these inspired celebrity looks for 30% off in its Spring sale. Just use the promo code “SPRING30” on selected ‘Spring Faves’ styles to save more on trendy outfits. 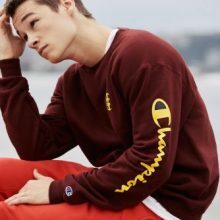 Fashion Nova offers free US shipping for orders above USD $75. To get more bang for your buck, use Buyandship to ship your haul back to your doorstep for an affordable international shipping fee. The Monki brand mixes Scandinavian cool with creative street style and is all about being brave, friendly and fun while empowering young women. It takes the road less taken when it comes to fit and style, unlike many fast fashion brands out there. Refresh your wardrobe with brand new clothes from Monki to fit your unique, quirky style. 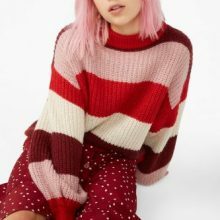 The brand is currently having a massive sale, offering shoppers up to 70% off on selected collections that seem neverending. Don’t forget to use Buyandship’s UK warehouse address to save more on delivering your haul to your doorstep. 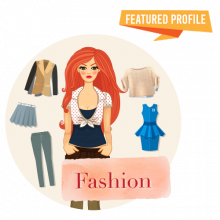 Are you the sort that likes to update their wardrobes according to the season and trends? Here’s your chance to save your hard-earned money. For a limited time only, Miss Selfridge is offering 20% off on selected clothing and shoes. Get your hands on trendy seasonal pieces to match your personality without breaking your budget. Miss Selfridge doesn’t deliver to Singapore but fret not, that’s why Buyandship is here to help. Don’t miss out on this fantastic deal while you enjoy affordable international shipping via our UK warehouse. 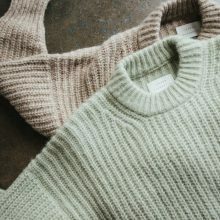 Women’s fashion has evolved along with the times, with new trends and styles emerging from the needs and wants of its target audience the world over. It’s always good to have pieces that are both trendy yet classy for a more versatile wardrobe. Here we have some of our favourite picks – most of which can be dressed up or down. We think you’ll love them as well. Pro tip: Use Buyandship to ship back your purchases from the US, UK, Japan, Korea, China and Hong Kong. We help you save on international shipping! **Our “With BuyandShip Singapore” figures are estimated pricing in local currency and inclusive of BuyandShip’s shipping rate back to Singapore. Burberry Icon Stripe Detail Vintage Check Cotton Shirt This Burberry shirt sports the iconic vintage check stripe pattern that the brand is known or. You can pair this slim-fit shirt with just about anything; from dark..
Buyandship fans, we have some exciting news for you! We are introducing a new addition to our network of warehouses across the globe, and it’s going to be in the land Down Under. 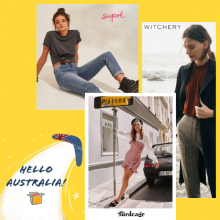 And to celebrate this exciting occasion, we are featuring our favourite stores from Australia leading up to our launch day, starting with Women’s Fashion! We hope that it’ll help you get your shopping list ready by the time we launch (very soon, we promise). Supré Supre, a fast fashion brand from Australia, is all about empowering women. Not only does Supre carry a wide range of clothing that caters to the different shapes and sizes, but it is also using its platform to shout women-centric initiatives like The Power Project and The Supre Foundation. After all, its motto is “we believe in the power of girls.” As Queen Bey said: “Who run the world? 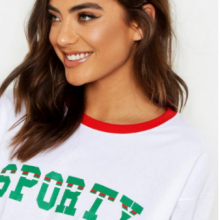 Girls.” The Birdcage Boutique Founded..
Champion USA is an American manufacturer of clothing specialising in sportswear, which has been gaining traction among fashion enthusiasts. Loungewear, tracksuits and sweatshirts seemed to have turned into high-fashion garbs in a blink of an eye. 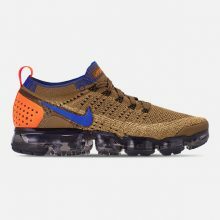 Let’s say that comfort got cool. Grab a hold on some of the comfy articles Champion USA has to offer. The website’s Clearance section is filled with versatile pieces which can be mixed and matched. Also, take extra 25% off on your markdown items at checkout with the promo code ‘NOJOKE’ for a limited time. You can only use the promo code when you ship to a US address. Fill in our US warehouse address at checkout to enjoy the additional discount and save more on international shipping to Singapore of as low as S$5/lbs!